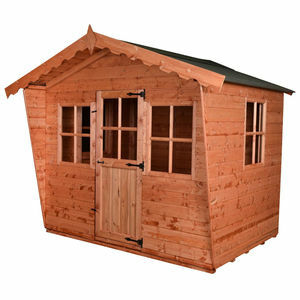 The Rose Cottage shed / playhouse. 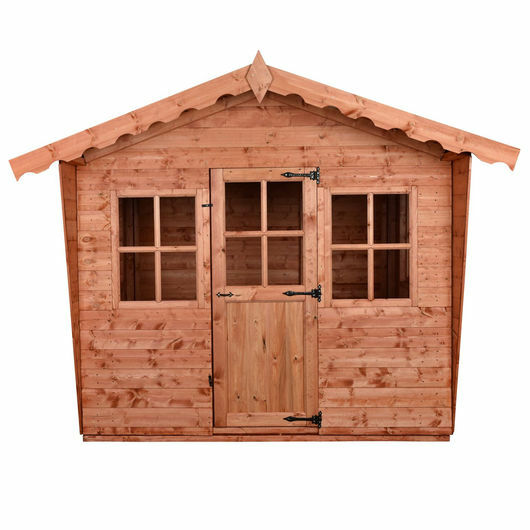 A stunning garden building pefect for enhancing any garden. The Rose Cottage is a stylish and versitile garden building that looks great in any garden. 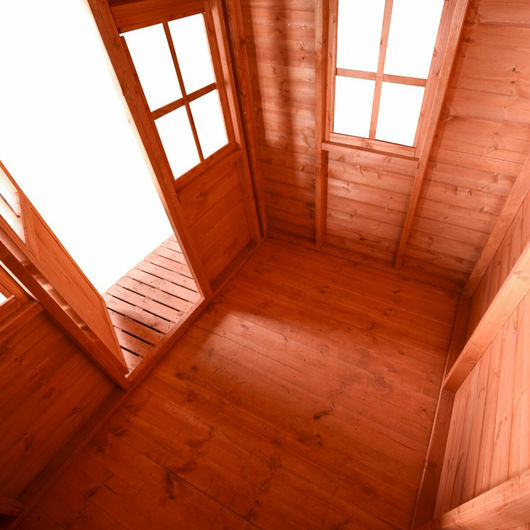 It can be used as a playhouse for kids, a fancy storage shed or a little hide away for some peace and quiet. 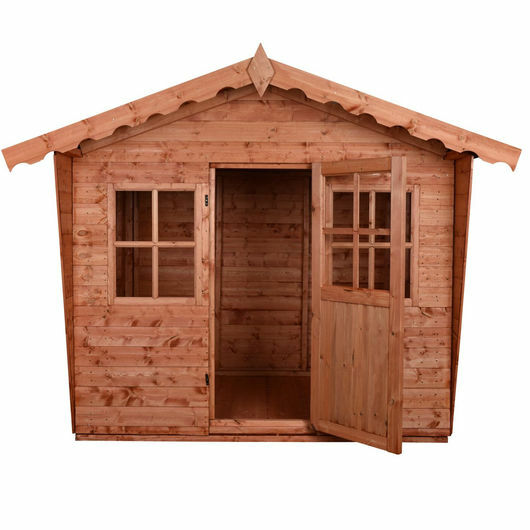 With its quaint features and antique style furnishings including cottage windows and door, a classic 1ft tapered over hang and full tounge and groove cladding you can be assured of that the Rose Cottage will enhance your garden and bring you many years of durability and functionality.